Thanks to all of you — amazing readers and retailers — this summer was a wonderful one for the Monstress team. Because of you, Vol. 1 of the trade hit #2 on the New York Times bestseller list, and now we’ve almost arrived at the launch for the second arc: Monstress #7 hits shelves on October 12th! Before that, however, Sana Takeda and I will be at New York Comic Con! This week, in fact! From this Thursday to Sunday, Team Monstress will be at table K2 in Artist Alley, signing posters, selling the trade — and we’ll have some other goodies there, as well. We can’t wait to see you all — familiar faces, and new. 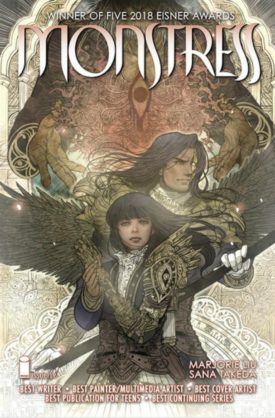 Sana Takeda and I will be signing the Monstress trade! Description: A high concept for a comic is a great invitation, but great characters are what make you want to stay with the book. Characters that you empathize with or are cooler than cool are captivating. 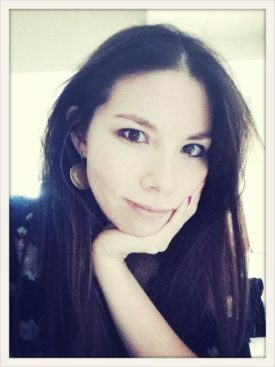 Sana Takeda (MONSTRESS), Steven Seagle (CAMP MIDNIGHT), Rod Reis (Hadrian’s Wall), and Jason Hurley & Jeremy Haun (The Beauty) are going to dig deep into characters, and how it’s not as easy as a cool outfit and a snappy name. You can’t judge a comic solely based on what happens to the characters in it. You have to look at how things happen, what the story looks like, and a bunch of other little tiny things that make comics one of the most vibrant storytelling mediums around. Gabriel Hardman (Invisible Republic), Declan Shalvey (Injection), Marjorie Liu (Monstress), Bryan Hill (Romulus) and a couple special guests are some of the best storytellers in the business. From Amadeus Cho to Kamala Khan, Asian superheroes are powering their way into our stories – from the page to the stage. But they can’t do it without help from the Asian American heroes behind the scenes. Join Racebending.com’s Mike Le in a no-holds-barred discussion of the state of Super Asian America, with real-life comic greats Greg Pak (The Totally Awesome Hulk), Larry Hama (G.I. Joe), Marjorie Liu (Astonishing X-Men), Keith Chow (Secret Identities), Wendy Xu (Angry Girl Comics), and Vishavjit Singh (Sikh Captain America). I’ll be signing my exclusive trading card created by Comixology! Sana and I will be signing copies of the Monstress trade! Like #WeNeedDiverseBooks, the hashtag #WhiteWashedOut went viral showing many people’s connection to the erasure of Asian American and PoC/Natives in all forms of media, not just film. How is this hurtful for communities effected? And why does this keep happening even when audiences ask for more diversified representation? The creators of #WhitewashedOut and others discuss the need for change, uplift the representations getting it right and relay what else we can do to be heard.